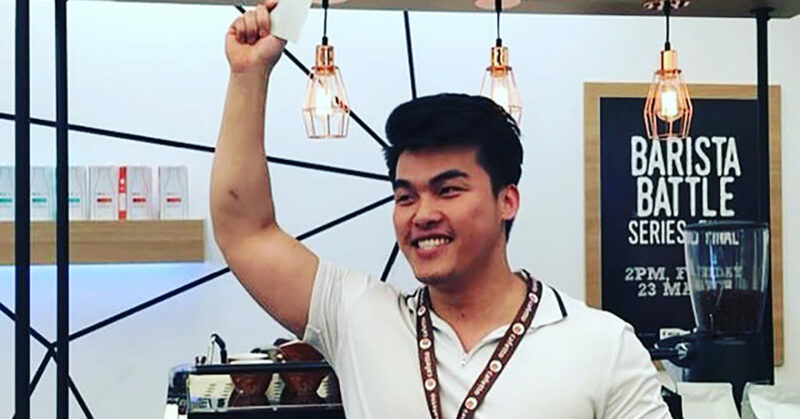 Victor Vu has won an all-expenses paid trip to Peru in the final of the MilkLab Barista Battle Series at the Melbourne International Coffee Expo (MICE) on 23 March. Georgina Lumb of Soho Coffee Roasters placed second. To celebrate Freedom Foods Group’s Platinum Milk sponsorship of MICE, its alternative milk brand MilkLab hosted four preliminary competition rounds consecutively at café venues across Melbourne in the lead up to MICE, including Code Black, Dimattina and Stovetop. 1. Latte art. Competitors used MilkLab Soy to produce a nominated latte art design. Judges looked for a harmonious balance of rich, sweet milk and espresso, and critiqued the design based on visual foam quality, contrast, harmony, size, position, and creativity. 2. Signature drink. Competitors had a creative licence to produce a freestyle latte art design using MilkLab’s new Macadamia product. Baristas were critiqued on their creativity and skill to use the new flavoured product to create a latte art pattern. 3. Flavour round. Competitors created a beverage using MilkLab’s Lactose Free milk. The judges looked for taste and tactile balance such as sweetness, acidity, bitterness, full-body, smoothness, and coffee as the core flavour. Three sensory judges including Dimitrios Piliouras of Artisan Coffee Roaster, Renee Rogers of MilkLab and Ross Quail of Slayer Espresso, assessed the drinks and voted the best barista through to the next round. In the final two rounds, the baristas produced a signature drink using Macadamia, the newest member of the Milklab family. Freedom Foods Group Brand Manager Jannah Picone says the competition was a way for baristas to see how versatile MilkLab’s suite of dairy and plant-based products can be. “Most latte art smackdowns use full cream milk, but we invited baristas to use MilkLab’s alternative milks to see how well they texture, stretch, and enhance latte art,” Jannah says. Victor and a lucky friend will travel to Peru and coffee farming communities thanks to Fairtrade.